It’s been a busy last couple of months, but I’m amazed at how well everything is going so far in 2010. Among other things, I just received a small windfall from my freelance and blogging business. My freelance income has otherwise been fairly steady, with some irregular income for bigger projects and other things. I try to make my irregular income go as far as possible. With so many options at my disposal, I want to make sure I’m not wasting these great opportunities. Since I’ve had the opportunity to chat with some readers, I know that some of you have also created, or are currently building, some extra income streams. I thus thought it would be worth sharing some tips on handling the unpredictable cash flow. My first piece of advice is set aside money for taxes before you budget the rest of your side income. You don’t want to have an unexpected tax bill come due, and you definitely want to make sure you avoid underpayment penalties. If you need help figuring out your estimated taxes, you can use Form 1040-ES. This year, I’m paying estimated taxes on a quarterly basis for my freelance business. I want to make sure I have the right amount when the next quarter becomes due April 15. I’ve put aside 30% of my freelance income aside into a savings account and then pay I pay taxes directly from that account. I use EFTPS (Electronic Federal Tax Payment System) to handle the payments. It’s free, and you can manage everything online. You do have to register in advance and apply for a PIN for the account, but I found it to be an easy process. You may think that since I’m usually writing about reducing debt and building up some savings, I’d mention that as then next goal. Actually, my advice is to make sure that you allocate some money back into growing your business. If you want to continue to grow your business, you can’t afford to take any shortcuts. Office equipment and supplies: Don’t go out and buy brand new computers and software just because you have some extra money, but do look to see if there are any equipment upgrades that will help you stay ahead of the competition. Training and seminars: You want to stay at the top of your game so you can provide more value to your clients and generate more business. Bookkeeping: If handling the bookkeeping or accounting for your freelance work gets in the way of “real” productivity, consider outsourcing it to a professional. This will pay for itself down the road, and allow you to spend more time working on your project(s). Business savings: Yes, I’m suggesting that you put some money in savings for future business expenditures. Since you can’t always predict your busy and slow months, having a cushion reduces your chances of going into debt while weathering the storm. If your income varies, my advice for your next step is to play it safe and deposit into your checking account enough money to cover your regular monthly expenses for awhile. Everyone has a different comfort zone, but having an additional buffer for the lean times will make your life less stressful. We try to put in an extra month or so as our checking buffer (in addition to our regular emergency fund, which we’ve also bulked up), and it has given us some peace of mind. In the past, we’ve used some of our side income to go ahead and take care of things like major car repairs or other household needs. I’ve also set up an automatic transfer from my business checking account into our joint savings account at ING Direct so we can earn a higher interest rate than is available at our local bank. Once you’ve taken care of taxes, re-invested in your business, and taken steps to smooth out any bumps in the road, the “regular” financial rules apply. If you’re carrying any debt, you should consider directing at least some of your excess toward debt reduction. Investing for the future is also an important goal. And guess what? There are some special tools available for the self-employed, including the SEP-IRA and solo 401(k), which are great retirement savings vehicles. 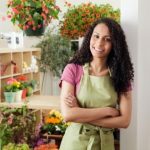 Do you own your own business? Or maybe you generate side income in another way? If so, how do you budget and handle the resulting irregular income? Nice tips here. I also have irregular income, and the always solution for me is to have an emergency fund. Yes, I agree that we should always prioritize paying our obligations especially our tax dues. Also, we should always have a good accounting. That is – we should only touch our net profit and never the whole revenue. Nice to see you mention taxes first. I had a friend that didn’t realize that she had to pay taxes on freelance contractor work. She wasn’t very happy. But, I think anyone who works for themselves must have some tax knowledge, because unlike a W-2 worker, you need to be actively managing your own employment taxes! @Squirrelers : I definitely agree that if your income is a bit irregular, you should be conservative. I budget based on my regular portion of my freelance income that remains pretty steady. Anything above that I budget when I receive. How I would handle this money is dependent on exactly how “irregular” is defined. For purposes of this post, I’m going to take this defintion as being supplemental or incremental cash flow, from a side business or the like. If there is personal/credic card debt, apply it to that. Assuming this doesn’t exist, it would be a good idea to use this to build an emergency fund, while reinvesting some money back in the business. There’s really no perfect answer or approach, but I think that the main thing is that its best not to count on this side income. Much like how I suggest handling a tax refund, don’t plan around it. Treat it as a bonus. Any extra income that I earn I usually tuck away into a savings or investment account or I put it towards paying down our mortgage. I don’t even consider it as part of my income so then I am not tempted to spend it. We are lucking, my fiance’s regular income pays for all of our regular bills so my irregular income goes straight into saving/debt repayment/investment but the advice is wonderful. I typically set aside 50% of all side income in a dedicated savings account. From this, I pay state and federal taxes, make SEP-IRA contributions, etc. This is overkill, but I’d rather have too much than not enough money laying around when April 15th comes. After I pay taxes, I invest the leftovers.